Keep refrigerated until 45 minutes before eating. Heating is not recommended. If you prefer oven warming: 375 degrees in foil (open at top) with a pan of water underneath to maintain moisture 30 minutes or more depending on the size of the ham. Ham is okay to refrigerate for 5-7 days, should you have leftovers. Freeze in meal size portions. The bone makes great soups. This ham has never been frozen, but freezes well. Using a knife, cut around the bone. Cut ham straight across from left to right. 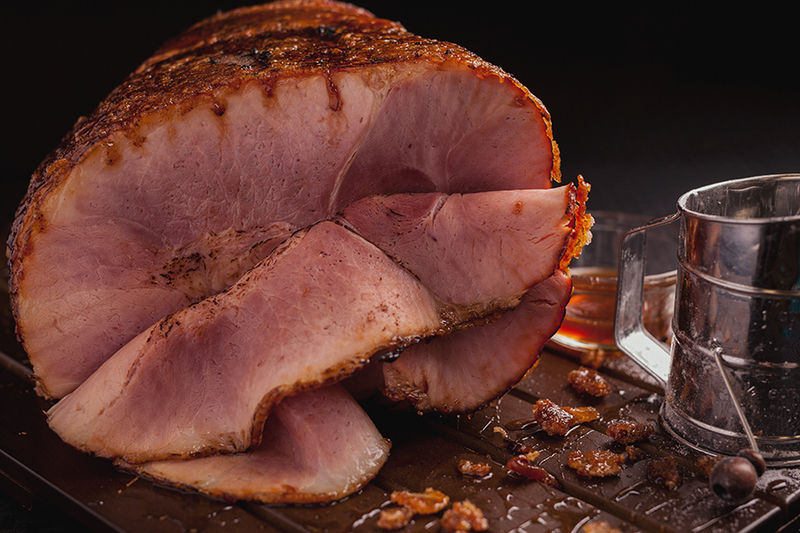 Cut ham straight down from top to bottom. This will release all sections of the meat. 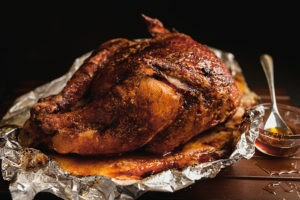 Your whole turkey or turkey breast can be heated for 30 minutes at 350 degrees. Do not over heat, as it is fully cooked already. Leftovers should be refrigerated.